Scraping The Sky, a photo by Thomas Gehrke on Flickr. 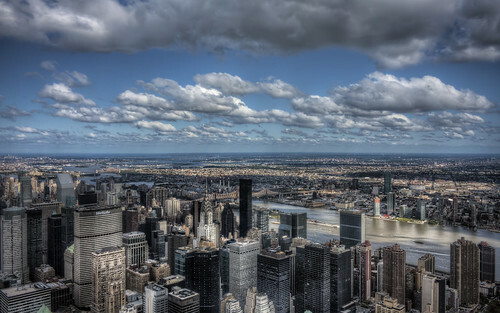 Taken from the observation deck of the Empire State Building, this HDR view of the East River was put together using three exposures. I really enjoyed the clouds and the patterns of light and dark that they create on the landscape.